Relocating to a new place is a stressful job and requires a lot of effort. If you plan early and follow the given tips you will experience a hassle-free relocation. While you pack things for your move, you will go through all of your household belongings and items. This is the time when you can get rid of anything that is no longer required and do not hold any emotional value. If you have lots of items that are still in good condition, but some reasons you don’t want to pack and shift them to your new place, arrange them for a garage sale and make some profit out of them. This will also help you de-clutter the items of your home and earn some extra money. Relocating with a good plan enables you a hassle-free relocation experience. Planning is required at every step from packing items to transportation plan and finally arranging them at the new place. And give each step its own due time. Don’t forget to label or tag the boxes or containers that you have prepared for the move. Label every box with appropriate tag. Also make a note of contents inside the box. This will help you in easier unpacking, saving your precious time. If you have decided on the moving company, your process is almost eased out. However, there are certain things that you need to keep in mind. We understand that you do not want to interfere with the moving company’s duties; however, you should not be completely out of sight. Guide them through the ways, keep an eye on their activities and praise them if you like their job. This will encourage them to provide u with even better service. You can help the movers out by keeping away your pets and children, sorting the goods in one room, offering them snacks and drinks to refresh them etc. You may also tip them if you want to reward their exceptional services. On the move, there is nothing much for you to do. However, you can help the movers by providing them with the exact location details of the new location. Give them landmarks and street numbers, so that it is easy for them to find the new location. Also share your contact numbers, so that they can call you with any new update and you too are well updated with their locations. As you reach your new home, you should make the movers comfortable by offering them some refreshments and letting them take few minutes of rest. Then you can let them continue their job. You must let them know where you want to items to be placed and this will ease out the process for you. Just like packing and shifting, unpacking is another tedious task that comes after your move. 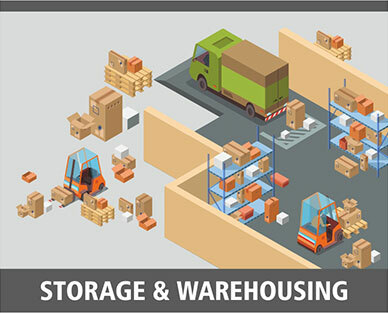 One needs to plan and dedicate time to unpack and arrange the goods after they have completed with the shifting process. 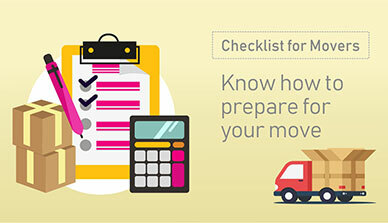 Here are few suggestions that might help you with easy unpacking after your move. First, you need to make sure what are the things that you will need right after you reach your new place. Make sure to maintain an inventory list and know where you have kept those items. This will save your time from looking into each package for one single item. Always unpack the essential items at first. You need to pack all the essential items in one box and keep it at the top. This will help you in accessing it as soon as you reach your new destination. You must have labelled the kitchen box. Try opening them and sorting the items accordingly. Therefore, you can decide on your requirements and plan unpacking consequently. While you are packing your stuff, ask yourself whether you use the item or not. This will not only save your time but will also save your money on packing materials and on transportation. Carrying old items of no value can add up the hassle and also the weight. This includes old bed sheet, curtains or transistor etc. You need to carry goods that you would require in your mew place. There are many things like a wall clock presented by your parents that have emotional value attached to it, like the sofa that you father gifted during your wedding and many more. You may want to carry these items along. But things that do not have any emotional value adhered to it and are not being used anymore should be discarded, as it will only take up space and money during your move. Carrying everything to your new place might not be a very good idea. You must first understand the availability of space in the new place and do a little bit of research as to will the old items fit into the new place. A analyse is very important. If you are planning to have an international relocation, then the below given tips are sure to help you out. International relocation requires thorough planning and good research. The company that you choose for your relocation must have experience and good reputation in the industry. If you are planning on hiring a moving company for your international move, you need to ask the following questions. "Is the company registered and properly licensed?" You need to know that the company that you are planning to make your moving partner is a certified relocation service provider. With us, you need not worry about this criterion because we associate only with the certified companies. All the companies that we work with are registered and licenced. Asking this question will give an idea about experience of a moving company. You must choose an experienced mover for your relocation. Apart from experience you should also check its flawless track record in the business. It is imperative to go with an insured relocation company or a mover that provides you goods insurance service for your move. An insured mover will cover all the loss if the goods are unfortunately damaged or lost transit. A professional moving company has its own transportation vehicles including especially designed goods carriers and moving trucks. An experienced mover also has its own equipment for easy packing, loading, unloading and unpacking of goods. Never forget to ask about details of their previous customers or clients. You should never hesitate in asking details about the previous clients of the moving company. A reputed mover will always be happy to provide you references. Office relocation is one of the most complex and stressful task as compared to other types of relocation. Since the moving process includes numerous tasks there are chances that you may miss something in between. 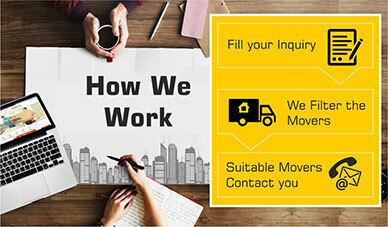 With the help of the following step you can experience a hassle and stress free office relocation. You must change your address from all the prominent places including visiting card, websites etc. So that the customers may easily find you. 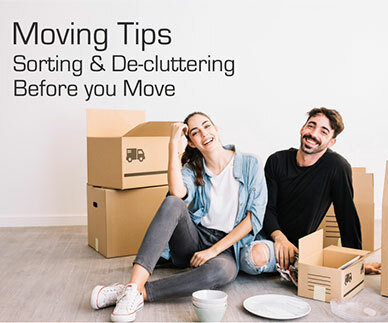 Since moving is a stressful job for you as well as for your employees; hence, it is mandatory for you to inform them about the move well in advance. This will give your employees time to prepare themselves for the move, both mentally and physically. You must make a list of the items that you need to carry with you to the new destination. Your inventory will help you in the management during the move. And last but not the least, if you are hiring a company for your office relocation do remember to check the credibility of the company. With Movguru, you can relax as we bring to you companies that you can completely rely upon. Our associated companies who offer office relocation hold experience and also the credibility of helping people with relocation of their office without leave any scope for complain.